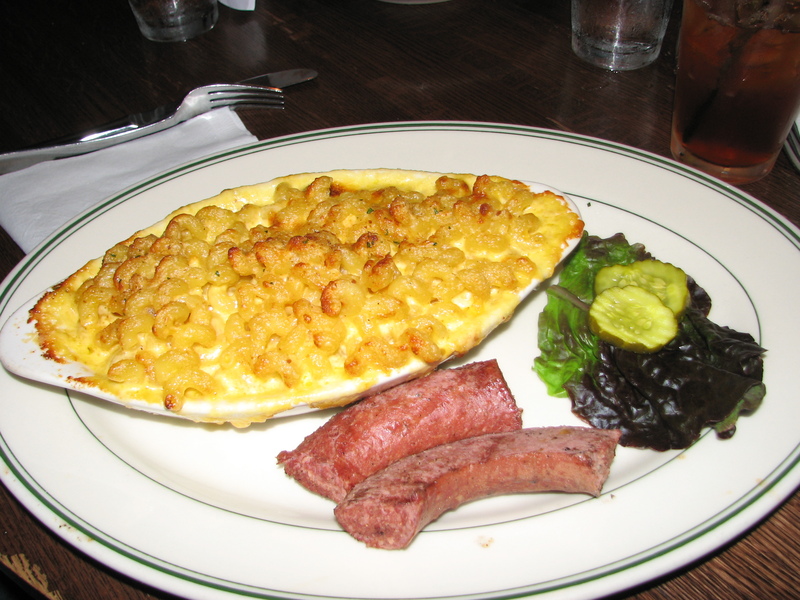 Cheddar mac with some sausage links. 6513-06 high-res image, 6513-07 high-res image. 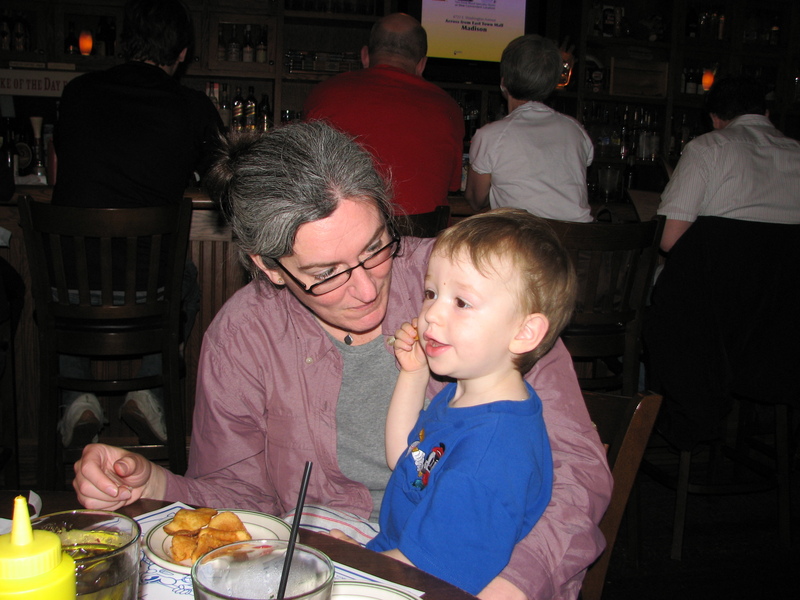 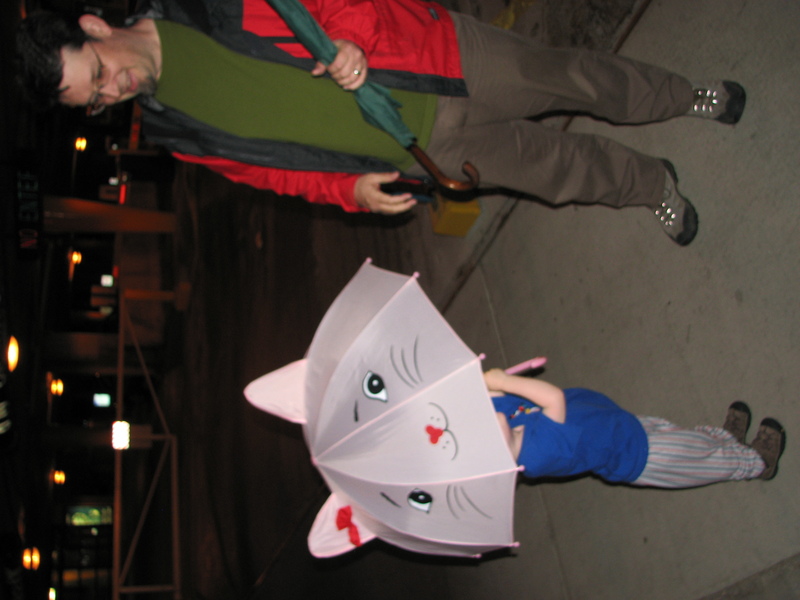 \Nicolas with kitty cat umbrella, and Thomas.